This is Shawn's first start in 2 years after recovering from arm surgery. The Cubs (23-15/.605) share the best record in the majors with Arizona and Florida … Chicago’s 23 wins are tied for second-most in baseball (with five others) while Boston leads with 24. OFFENSE POWERS FOURTH STRAIGHT WIN: The Cubs, who notched their fourth-straight come-from-behind win with a 12-3 victory over San Diego last evening, tonight play the second of a four-game set against the Padres … this is the fifth game of a season-high, 10-game homestand against the Diamondbacks (3-0), Padres (1-0) and Pirates (3 games) … following this homestand, the Cubs will hit the road for a six-game trip against Houston (May 19-21) and Pittsburgh (May 23-25). The Cubs are in the fifth game (4-0) of a stretch that sees them play 17 of 23 games at Wrigley Field … this follows a run that saw Chicago on the road for 11 of 14 games from April 23-May 7 – the Cubs went 5-9 in that span. FULL OF LIFE: Last night vs. the Padres, Cubs hitters worked the count full nine times … on the season, Cubs hitters have worked a full count 241 times, second in the majors behind Texas (254). … Kosuke Fukudome is tied with Florida’s Hanley Ramirez for third, as both have had 35 plate appearances with a full count. … Tampa Bay is second, having had eight innings with five or more runs scored. Last night, the Cubs scored at least five runs in consecutive innings (six in the fifth and five in the sixth) for the first time since May 5, 2001 when they scored eight runs in both the seventh and eighth innings against the Dodgers. MULTI-HIT GAMES ARE GOOD: Ryan Theriot went 2-for-3 with two walks last night vs. San Diego, notching his 17th multi-hit game of the season – that’s tied for second in baseball with Atlanta’s Chipper Jones … Philadelphia’s Chase Utley leads with 18 multi-hit games. Kosuke Fukudome is second on the club with 14 multi-hit games. … Chicago’s best home starts through 22 games are 18-4 (in 1907 and 1923), 17-5 in 1985 and 16-6 (nine times, last done in 1984). The Cubs 15 home wins leads the majors while their .714 winning percentage ranks third. The Cubs lead the majors with a .316 batting average, a .405 on-base percentage and a .505 slugging percentage at home this season. … overall, the bullpen has tossed 13.2 shutout innings dating to May 7 in Cincinnati. Over the team’s last nine games, the Cubs bullpen has a 1.42 ERA (4 ER/25.1 IP), keeping the opponent off the board in eight of those contests. BETTER LATE THAN NEVER: Chicago has 11 come-from-behind victories this season, third-most in the N.L. … the Astros and Phillies lead with 12 come-from-behind wins apiece. … Sunday vs. Arizona, Chicago was down 4-2 before scoring two runs each in the seventh and eighth. … through 38 contests last season, Chicago had 122 walks. If the Cubs were to keep up this pace (4.82 BB/G), they would draw 781 walks this season … the club record is 650 walks, set in 1975. THERE ARE ALWAYS EXCEPTIONS TO RULES: The Cubs are 19-1 when scoring four or more runs in a game this season, 4-14 when scoring three runs or less … the Cubs are also 20-1 when leading after five innings this season, 3-14 otherwise. RUNS APLENTY: Chicago’s 223 runs scored this season leads baseball … Boston is second with 209 runs scored while Arizona is third with 208 … the Cubs have averaged 5.9 runs per game, including a 7.1 mark at home (150 runs in 21 games). The Cubs enter tonight’s contest one-game up in the N.L. Central with a 23-15 record … through 38 games last season, Chicago was 18-20 (and 18-21 through 39 games) – good for third place, 6.0 games back of Milwaukee … the Cubs are 15-6 in their first 21 home games this season - last year, Chicago was 10-11 through its first 21 home contests and did not win its 15th home game until June 15 (a 4-1 win vs. the Padres). 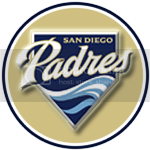 The Cubs and Padres will meet seven times this season, all coming within a month’s time … besides this four-game set at Wrigley, the clubs will meet for a three-game series June 2-4 in San Diego … the two clubs will also meet for the Hall of Fame Game in Cooperstown, N.Y., June 16. The Cubs are 0-7-2 in their last nine home series against the Padres since their last series victory at the Friendly Confines, a two-games-to-one win, June 1-3, 1999. WIND IS BLOWING OUT IN A GALE TONIGHT! SCARY WITH JASON ON THE MOUND!!!!! Damn...Girl,u did ur homework! My head is spinning! By the way Duran squared is singing tonight! (not exactly boy band)let's just hope they show the game while they in booth! The durable right-hander has made 32 starts with more than 190.0 innings pitched and at least 12 wins in each of his last four seasons. As a starter, has compiled a 67-63 career record with a 4.49 ERA in 176 career starts (524 ER/1049.1 IP). … in nine post-season appearances, has compiled an 0-2 ledger with a 4.57 ERA (11 ER/21.2 IP) and a .274 average against (23-for-84). Has gone 56-26 with a 2.86 ERA (234 ER/735.2 IP) in 107 starts in which he’s gone 6.0 or more innings … his clubs are 65-42 (.607) in those starts. Captured the 2005 NL Silver Slugger Award for pitchers … was the first Cardinals pitcher to win a Silver Slugger since Bob Forsch in 1987. Graduated in 1996 from Tottenville (N.Y.) High School, where he played baseball and basketball and was a member of the National Honor Society. … allowed five runs on seven this and five walks while striking out four in 5.1 innings of work in the 5-3 setback. Jason has fanned 21 and walked 15 in 33.2 innings of work this season. Is 15-10 with a 3.92 ERA (86 ER/197.1 IP) in 36 career May contests (30 starts) … that’s the most wins and lowest ERA he has in any month. Has walked two or fewer in four of his six outings. Looking to end a three-game winless streak since his last victory April 19 in Pittsburgh … has a 6.23 ERA (12 ER/17.1 IP) in that span. Holding left-handed batters to a .267 batting average (12-for-45), while right-handed batters are hitting .348 (31-for-89) off the righty. The Cubs are 5-4 in Jason’s last seven starts dating to September 16, 2007, including a 3-3 mark this season. … he did not factor into the decision of the 9-7 Cubs victory. … walking one and striking out seven. Of seven baserunners, allowed just one to advance past second base. 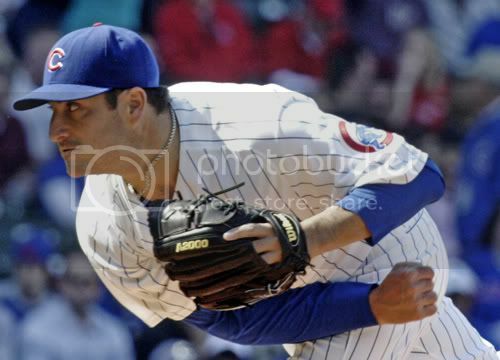 Recorded his second quality start of the season in Chicago’s 4-2 loss to Colorado April 24 … did not factor into the decision despite allowing just two runs (both earned) on eight hits in 7.0 innings pitched. Struck out four and issued a pair of free passes. … pitched with runners on base in every inning except the fourth. … the club was 15-2 in those outings. Went 5-0 with a 2.47 ERA (15 ER/54.2 IP) in eight starts from April 16-May 24. Finished April 3-1 with a 2.35 ERA (8 ER/30.2 IP) in five starts – his best month of the season. Produced a 3.67 ERA (43 ER/105.1 IP) in 18 starts prior to the break … was 6-4 with 5.36 ERA (51 ER/85.2 IP) in 15 starts after the break. Did not allow a home run over his first four starts of the season, a career high … also turned the trick in his final four starts, September 11-26. Reached a 1,000 innings pitched for his career June 25 vs. Colorado, striking out Jeff Francis in the second inning. Made his lone relief appearance of the season September 30 in Cincinnati … allowed four runs in 0.2 innings of work. … and has four complete games. … his career-high walk total is six (4/8/03 @ Philadelphia and 5/19/05 @ Philadelphia).